William Edwards Stephens, noted nuclear physicist, was born on May 29, 1912, in St. Louis, Missouri. He received B.S. and M.A. degrees from St. Louis’ Washington University in 1932 and 1934, respectively, and a Ph.D. from the California Institute of Technology in 1938. From 1938 to 1940 he served as research fellow at the Westinghouse Research Laboratories in Pittsburgh, Pennsylvania, and from 1940 to 1941 he was an instructor in physics at Stanford University. In 1941 Dr. Stephens joined the University of Pennsylvania as an instructor of physics and was later promoted to professor of physics in 1948, a position he held until his death in 1980. From 1963 to 1969 he served as chair of the Physics Department and from then as dean of the College of Arts and Sciences from 1969 to 1974. 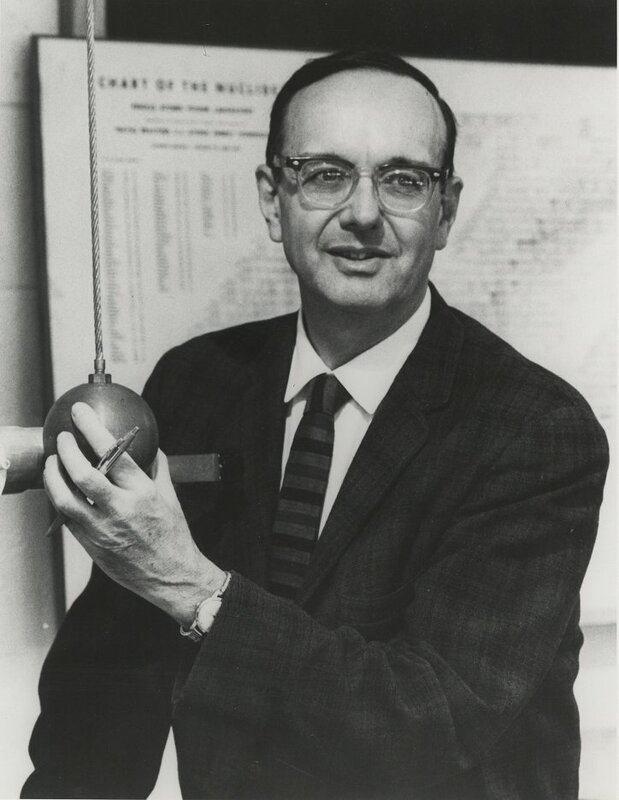 Dr. Stephens authored many contributions to professional journals, including Physical Review and the Journal of American Physics, edited the textbook Nuclear Fission and Atomic Energy (1948), and, with president of the University of Pennsylvania, Dr. Gaylord P. Harnwell, co-authored the textbook Atomic Physics: An Atomic Description of Physical Phenomena (1955). During World War II, Dr. Stephens participated in research on behalf of the Office of Scientific Research and Defense (OSRD), a government agency that coordinated scientific research for military purposes. His efforts earned him the Army-Navy Certificate of Merit. Dr. Stephens was a member of Phi Beta Kappa, Sigma Xi, the American Institute of Physics, and the American Astronomical Society, as well as a fellow of the American Association for the Advancement of Science and the American Physical Society, and a founding member of the Association of Philadelphia Scientists, a group that was opposed to government interference in scientific research. He was also an avid yachtsman, having participated in several Newport (Rhode Island) to Bermuda races.